In recent times, governments, the media and users themselves have been concerned about the lack of privacy that major social media networks have provided. Data has gone missing, and data has allegedly been used for political ends. The result has been a focus on the integrity of these platforms, and the measures used to protect users in the future. It’s been a long time coming, but platforms now seem to be making the security of data the number one concern when they provide services to the public. However, at the same time, Facebook is actually showing us how its ability to know everything we do on the platform can be used for the good, rather than the bad. It’s brought out a new feature that is ostensibly meant to help users. 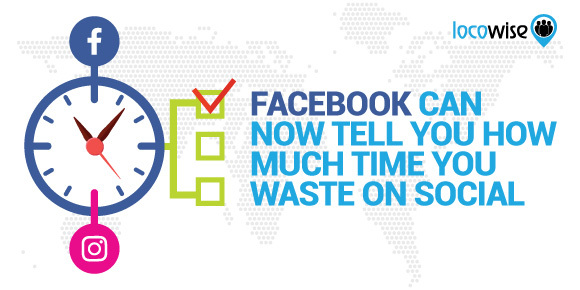 If you’ve ever felt that you spent too long on Facebook then this feature is for you. 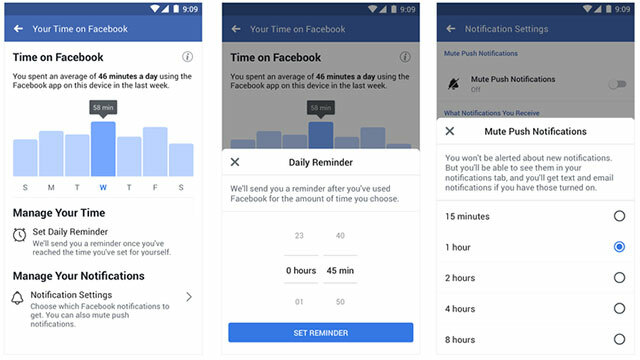 Facebook is now able to give you data on how long you spend on the app over a 7-day period. And there is a very good reason why the social media giant is doing it too. We know that, and we’ve known that all good things in digital are bad for you in the long run. We don’t need more reminders of this. But it has become a real thing. And anyone who has a teenager in their home will see the very worst of what social media, as well as other digital experiences, can do if it’s not managed well. There have been some significant research reviews carried out in recent years, with some academics leading the search to find out the impact of social media addiction on people as far back as 2011. If you think about that, that was way before we generally started to experience any kind of addiction to sites like Facebook and so on. Again, to put it into perspective, this was before smartphones were as genuinely smart as they are now. Back then in 2011, it wasn’t as easy to become addicted. Now, in 2018, you can access your social accounts quickly and effortlessly. The research, carried out by two psychologists called Dr Mark Griffiths and Dr Daria Kuss, found that social media addiction or excessive social media use caused a number of problems. These problems, it must be maintained, affected only a minority of people, but they included issues such as depression, loneliness and Attention Deficit Hyperactivity Disorder. With huge problems arising recently over gaming and smartphone addiction, it has become a political issue. Facebook is saying that it’s listened, and is taking action. And this is where the new feature comes in. Time can literally be wasted on Facebook. Users (not all of them, we hasten to add) can spend minutes of their lunch break, for example, scrolling through posts, many of which have no relevance to them. Facebook isn’t saying it wants everything to be relevant and useful. That’s impossible anyway. But what it does want is a safe environment, a place where mental health and time itself are better managed. It’s all worthy and obviously better for users. But is it better for brands? 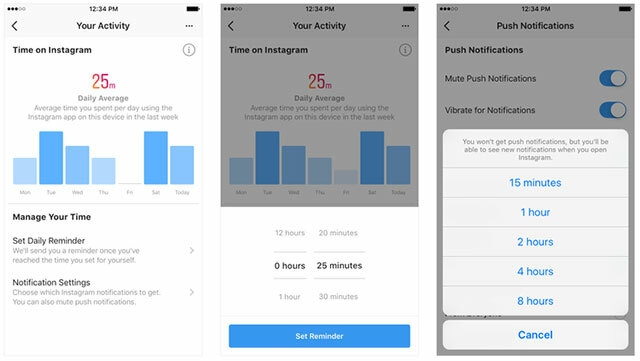 Brands on Facebook may well be a little nervous at the thought of users having more control over time spent on the app. And we think that nervousness is well-founded. Seeing your time spent on the Facebook app as a clear percentage of your day could make you feel you’re in need of cutting down. And cutting down can mean even more of a focus on what someone’s friends and colleagues are saying, rather than the latest offer from a brand. That, of course, relies upon people actually using the new feature. It may be a novelty for a while, and may wear off. However, it may not. If it doesn’t, people may start to cut down on their time. And if that happens, there is of course only one thing for brands to do. Making your content on Facebook more engaging has always been a priority. Any brand that is doing well usually has either a dedicated, well-managed budget or an incredibly creative team, or both. Whatever the situation, if time is now limited for users, engagement will be tougher to acquire. There is no way around it. Facebook is making it even harder for brands to gain, and keep attention. Would you like to be able to monitor the success of your social media work without the hassle that comes along with it? Try Locowise free for seven days. You’ll be impressed with the bright charts and graphs, and the incredibly detailed picture you gain of your social.